Building Information Modeling (BIM) is changing the way projects are constructed. Whether you are a prime contractor using BIM across an entire project or a subcontractor impacted by a specific BIM implementation, this emerging practice requires new mindsets and technological know-how in order to achieve significant improvements in efficiency and cost control. AGC’s BIM Education Program, developed in conjunction with leading BIM practitioners, technology firms, and educators is designed to prepare construction professionals at all experience levels to successfully implement BIM on a construction project. 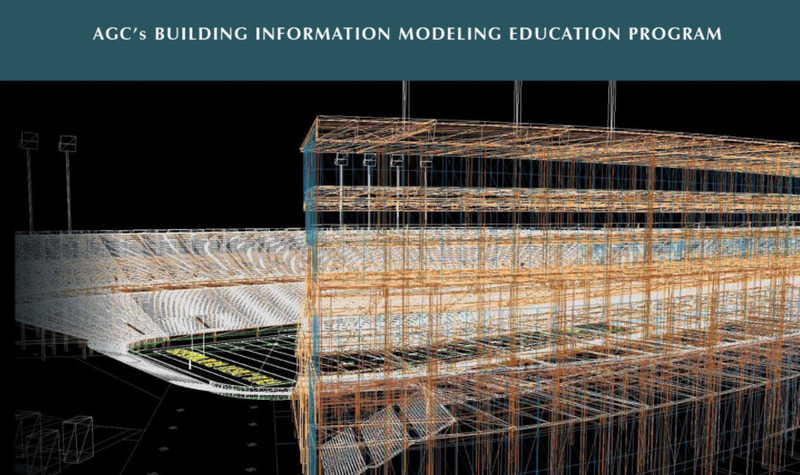 April 16th: Unit 1: An Introduction to Building Information Modeling, 3rd Edition. Designed as the first step for any company looking to understand the role of BIM in our industry and develop its own BIM Champion, Unit 1 provides a comprehensive understanding of BIM terminology while introducing important concepts that are necessary to understand how BIM changes the construction process. The course culminates with participants developing a Company BIM Assessment to back to their organizations to begin implementing BIM project- and corporate-wide. April 17th: Unit 2: BIM Technology, 3rd Edition. Throughout this second course, tools are introduced as they relate to the functions they perform, as well as particular phases in a project where they have the strongest capabilities. Tools are examined by how they fit the process and needs of the user(s). We explain a four-step process of software selection that participants can use as they start the BIM software-purchasing process. The course concludes by examining file formats, compatibility, and emerging technology, and how they all work together to transform the industry. April 18th: Unit 3: BIM Project Execution Planning, 3rd Edition. The course begins by articulating the roles and responsibilities for BIM use on a project using contractual BIM addendums. Participants learn how to define terms that are used to negotiate a BIM contract. Building on this knowledge, we will explore concepts of liability exposure and standards of care that arise from using BIM. The course includes a BIM Execution Plan development workshop that takes students through industry standard templates while providing a detailed outline of all the procedural and substantive activities. April 19th: Unit 4: BIM Adoption, Implementation and ROI, 3rd Edition. The course describes how to establish and execute the BIM process, facilitate its adoption, and achieve integration on a single project and on multiple projects simultaneously. Participants review several real-world case studies to analyze the costs, benefits and impacts of each decision made while experiencing how BIM breaks down the isolation found in organizational silos. While it may appear at times that BIM is a technology-led movement, the reality – and AGC’s BIM EP – speaks to a results-driven shift with real change happening within the construction industry. Cost: $300 Builders' members and $450 nonmembers. Per Unit. Includes participation manual, continental breakfast and lunch. Limited to the first 20 registrations. Cancellation Policy: A full refund will be given to cancellations made 14 calendar days prior to each class. After such time, no refunds will be given. Replacements are acceptable. We reserve the right to cancel programs up to 10 days prior to start date if a minimum number of attendees is not met. Contact Caleb McCandless to register for individual units.